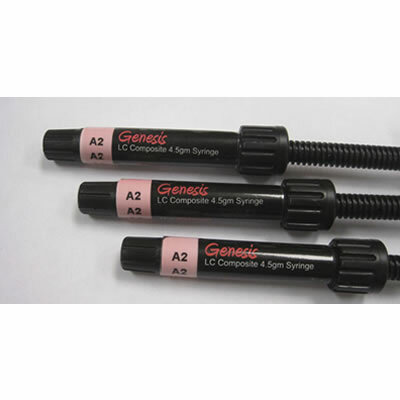 Genesis Universal Composite The Pelican Group Genesis universal composite offers an esthetic restoration with low shrinkage and excellent polishability. The Pelican Group’s Genesis provides clinicians with a universal composite that is suited for both complex and simple cosmetic handling. Genesis features exceptionally low shrinkage to achieve a precise restoration, and its superior formula has outstanding strength, while still displaying superb sculptability.